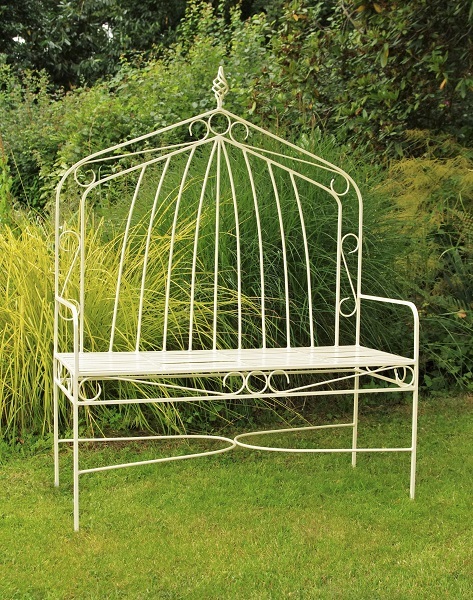 This elegant metal gothic high-backed bench will enhance any garden space. 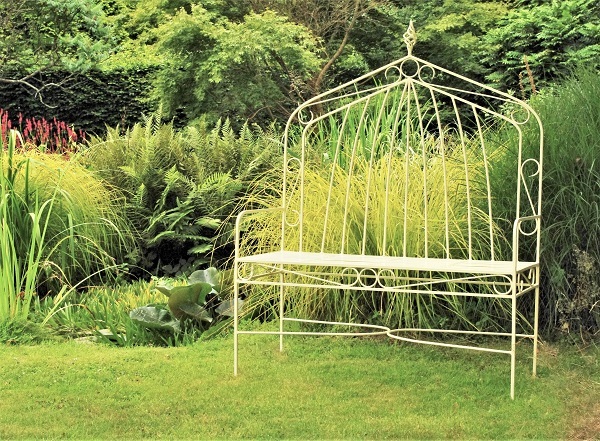 Sturdy and traditional in style this bench is anti-corrosion treated to give years of rust-free use. Made from mild steel and fitted with stainless steel feet to prevent rust spots on patio and paving. Place in a sunny position and sit back, relax and enjoy a welcome break. Satin finished in a choice of Soft White, Barley, Dark Green, Retro Green or Retro Blue. We can also colour match to existing garden furniture. Colour swatch to be used as a guide. Alternative colours may be requested. All steel construction and anti-corrosion treated to provide many years of maintenance free use – even if left out all year round. Satin finished in a choice of either Soft White, Barley, Dark Green, Retro Green or Retro Blue. Dimensions: H 150cm, Seat H 50cm, W 110cm, D50cm. Wash down when necessary with warm soapy water.